Solitaire Yellow Gold Engagement Ring | Shane Co. 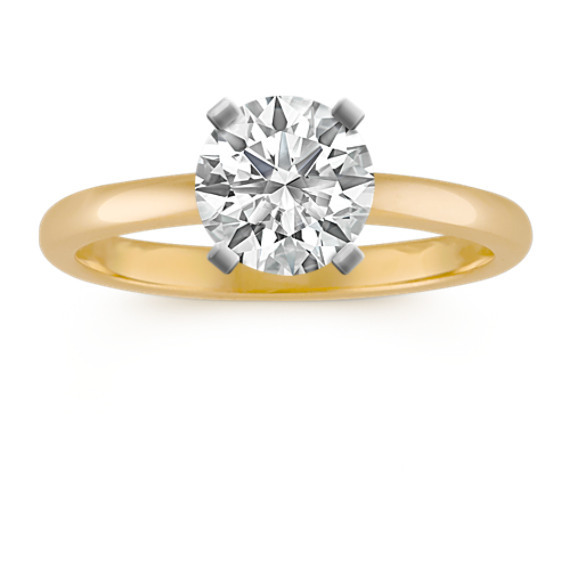 This simple, yet elegant solitaire setting is crafted from the quality 14 karat yellow gold and measures 2mm wide. Actual prongs may vary according to the shape and size of the center stone you select. If a stone is not included in your purchase, please call customer service to ensure the ring is fitted with the correct prongs to secure your stone.